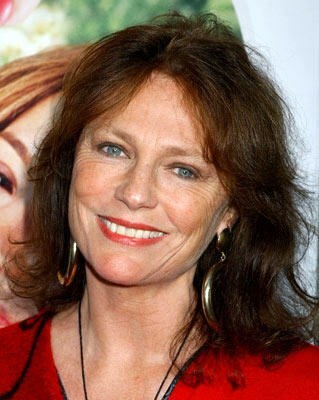 This week's beauty is actress Jacqueline Bisset. Jacqueline is now 66 and was on The View this week to talk about her life and her role as spokesperson for Avon's new platinum line for women over sixty. She was inspiring with all she had to say about aging. Being British, she said that European women are not nearly as obsessed with growing older as American women are. She also said that she believes that actresses need to look authentic. She said that she has never had any nipping or tucking done or any Botox either but only dyes her hair and has had work done on her teeth. I think she looks fantastic. I was intrigued to hear her say that she doesn't know anyone who looks better having had work done. That is quite a statement. A few years ago when being interviewed on the Today Show Jacqueline was quoted as saying, "I haven’t had Botox, I haven’t had any of those things or plastic surgery. I just believe in–it sounds so corny, I believe in thinking clearly. I believe in personal integrity. I believe in not having nasty stuff on your mind, which pollutes your system and your face. … You think [nasty] things, you just end up looking mean." Jacqueline, thank you. You are among only a handful of women in the movie business who have come forward publicly and are such a great role model for women aging naturally. She has the right attitude about aging, no doubt! I love what she said about having thoughts! If one is putting all of their energy/thoughts into trying to stay young, the body will eventually catch up and it will have a backfiring effect. Love who you are and your spirit will respond in a natural way letting your inner beauty blend your outer beauty. "Love who you are and your spirit will respond in a natural way letting your inner beauty blend your outer beauty." When we are paranoid about what we look like on the outside, the inside tends to get ignored. Another great J. Bisset quote: I don’t know if there is any secret. I think you’ve got to try to have an intelligent life from the beginning. You have to base your life on things other than just your looks, and be interested in people more than just as outer beings. That’s the key. Otherwise you’re going to get a terrible shock. If you don’t have anything inside you, you’re going to be pretty sad. And you can fiddle around with plastic surgery up to a point, but it’s not going to make you look young, you’re just going to look different. You’ve got to build interior content.